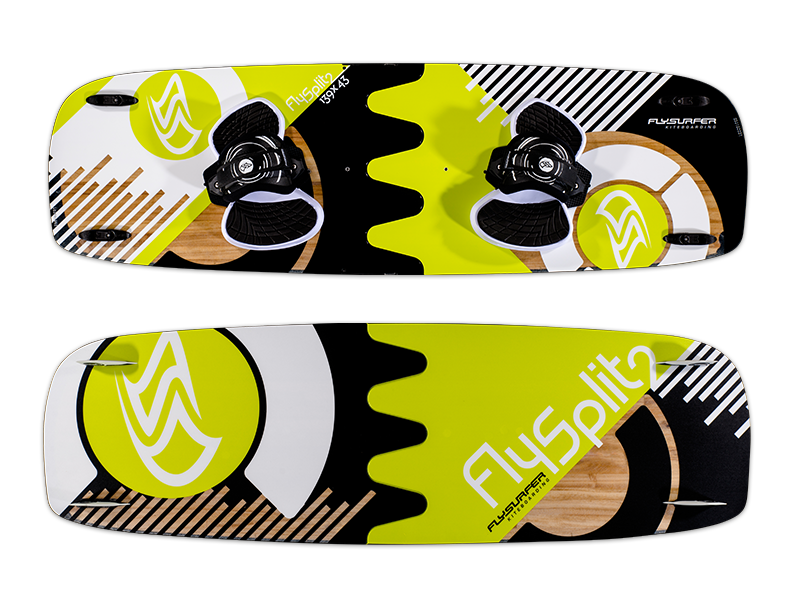 The FLYSPLIT2 is based on our original crossover board – the Radical5, but split in two for your travel missions. No concessions on convenience nor riding pleasure need to be made. 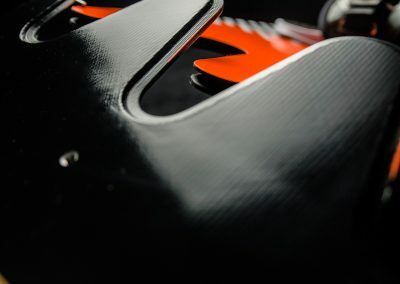 The FLYSPLIT2 is the lightest, most easy to carry and assemble board in our line up, allowing you to take it anywhere and it even fits in a normal suitcase. 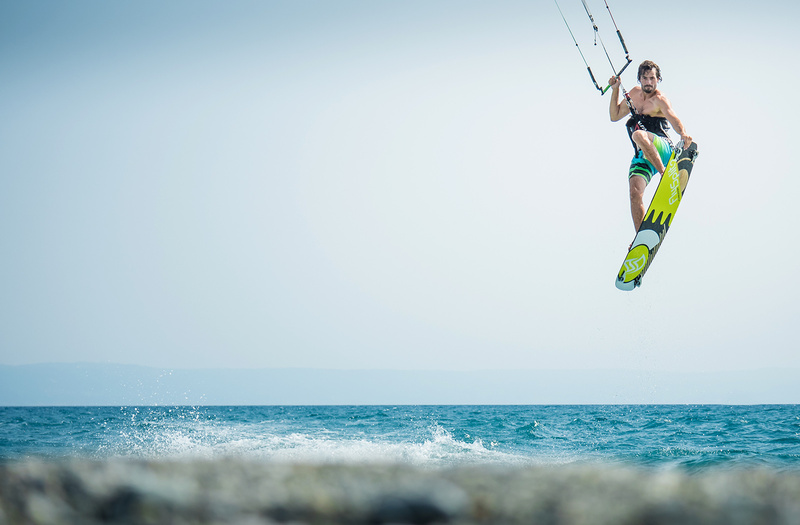 "I travel a lot and along with 2 kites the FLYSPLIT2 makes an ideal lightweight combo." 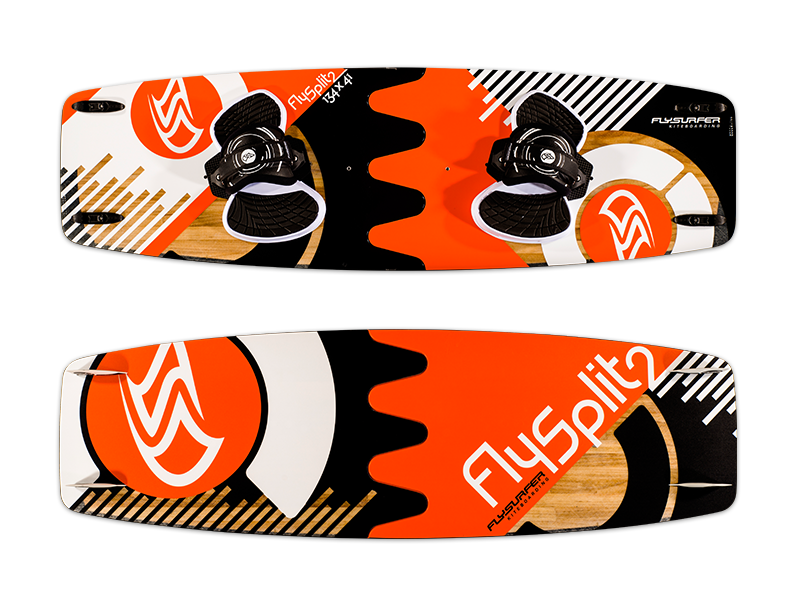 All FLYSPLIT2’s have a hybrid core, aimed at achieving a perfect harmony of board weight, performance and durability. 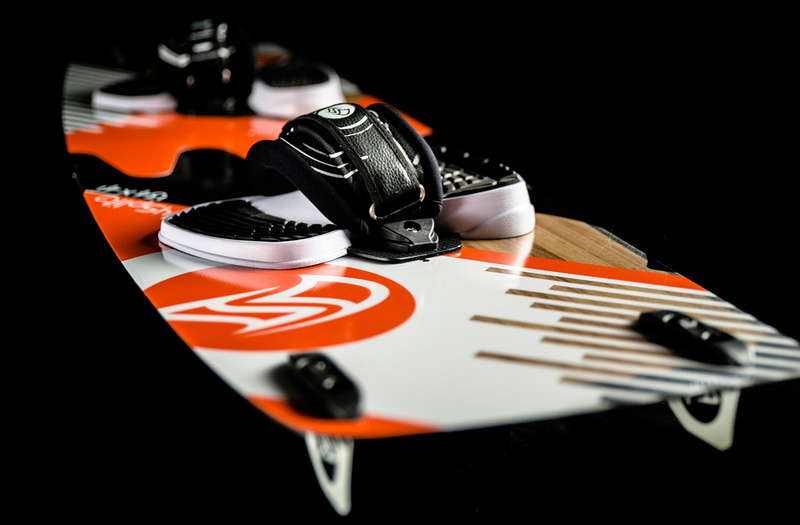 A foam core is used on the toe side in the longitudinal direction, providing a significant reduction in weight. 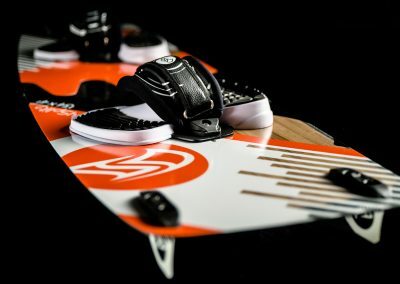 On the side with more load, the heel side, a robust wood core is used, guaranteeing breaking stability and the dynamic recovery force of the board. 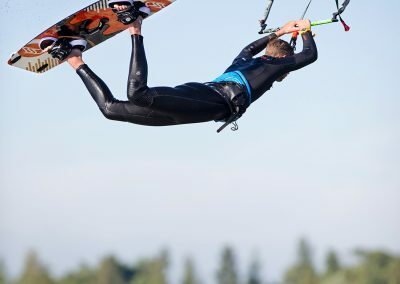 The innovative assembly of a unidirectional woven layer lengthwise and an additional woven layer (torsion layer) at a 45-degree-angle achieves considerably higher torsion stiffness, which is reflected in increased jumping performance while remaining comfortable. No more checking in sports luggage and paying extra fees when you travel. The FLYSPLIT2 134 fits in your normal travel bag (common bag size: 75x52x31cm). For the FLYSPLIT2 139 please compare the pack size of the board with the internal dimensions of your suit case prior to your flight. 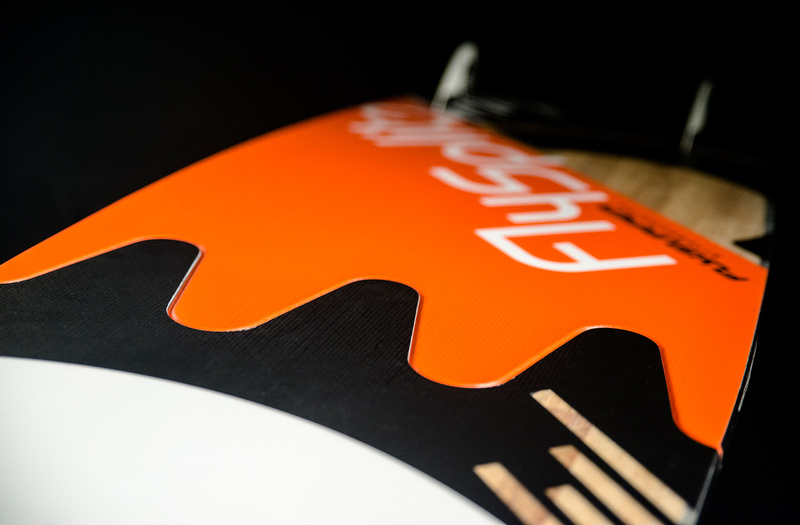 It only takes a few seconds to easily and quickly assemble a FLYSPLIT2. Through the zigzag construction both board parts join and are fixed by two metal splints. From the car onto the water in only a blink of an eye. 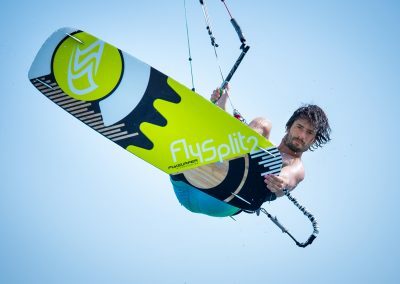 The Split-System makes the FLYSPLIT2 kiteboards that do not compromise in performance or quality over normal kiteboards. From the motorbike onto the water within seconds. 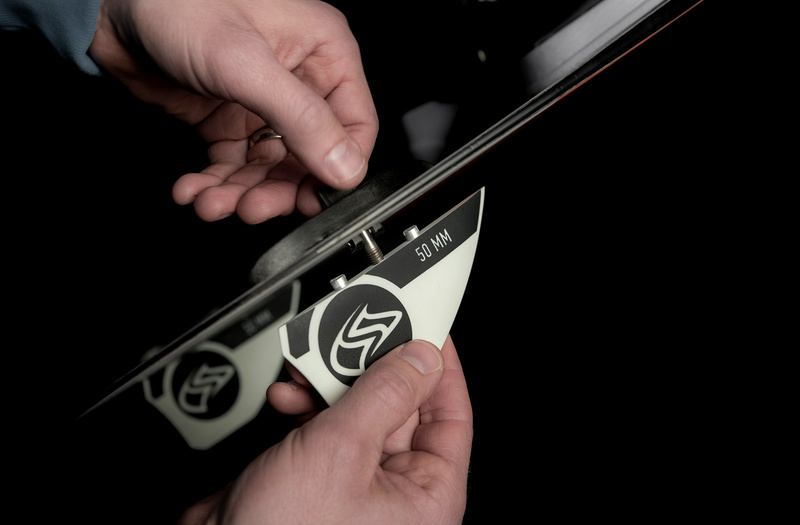 The „Tucked-Under“ Edge has been cut off at a 45 degree-angle, as surfboards have been manufactured traditionally. 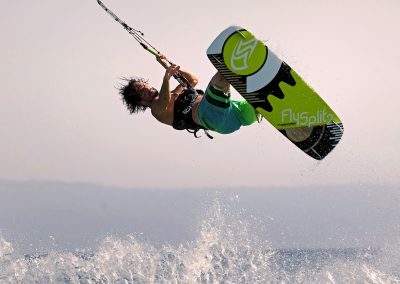 This makes the board very controllable, even in choppy conditions and reduces spray. 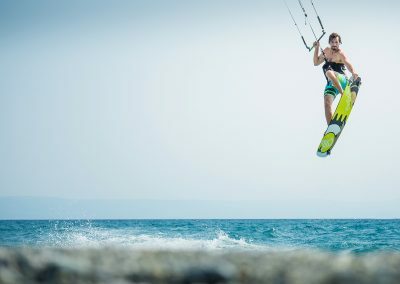 With a low weight of 2.85 kg for the FLYSPLIT2 134, these split kiteboards belong to the lightest kiteboards on the market. No extra luggage and exceptional riding characteristics guaranteed. 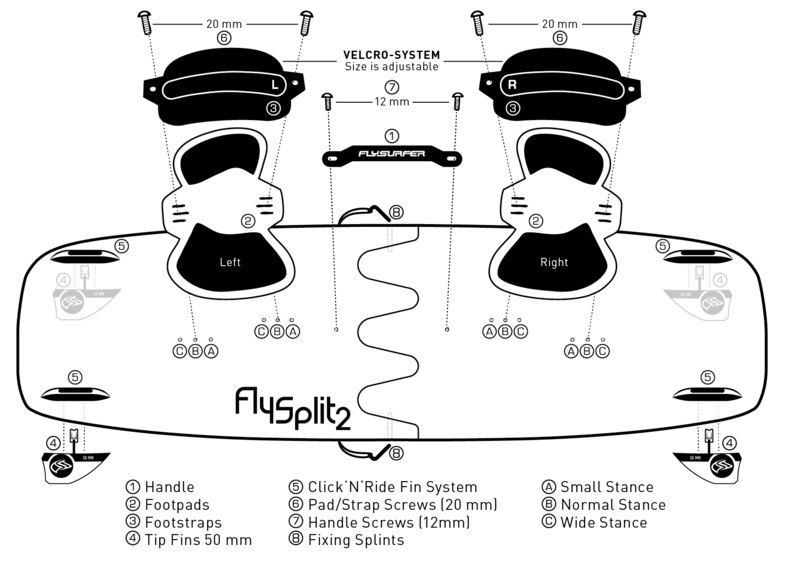 FLYSPLIT2 … for travel addicts! 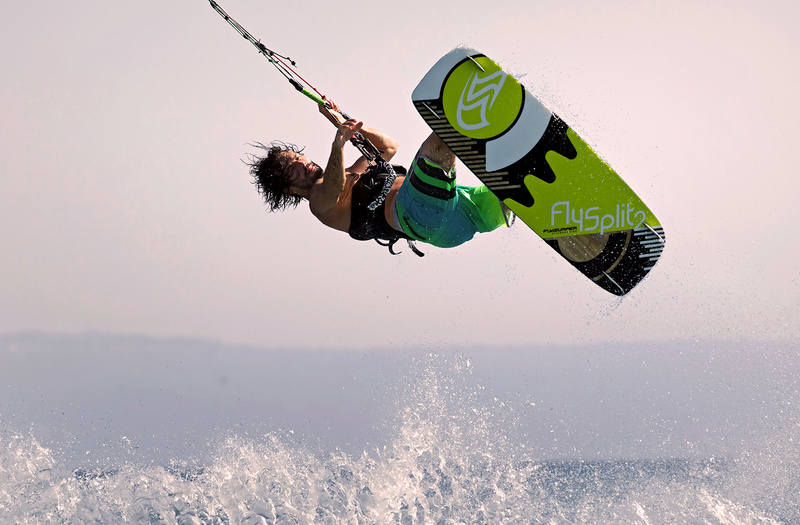 Innovation has always been one of FLYSURFER Kiteboarding’s highest aspirations when it comes to product development. 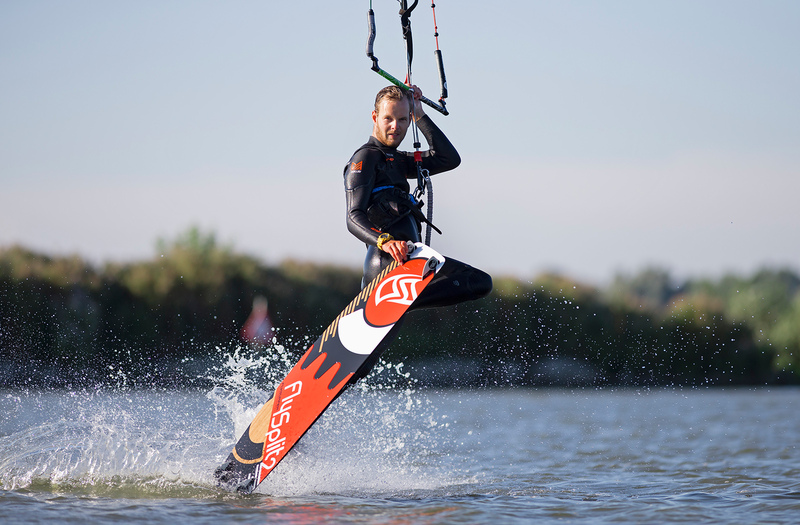 The FLYSPLIT2 combines the opportunity to dissemble the board in the middle and still retain the performance of a normal kiteboard. This is the crucial feature that wins you extra space when traveling. 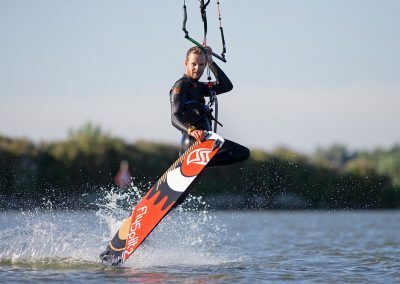 Thanks to our precise kiteboard manufacturing in Europe we can guarantee that the FLYSPLIT2’s are produced with only the finest resources and quality. 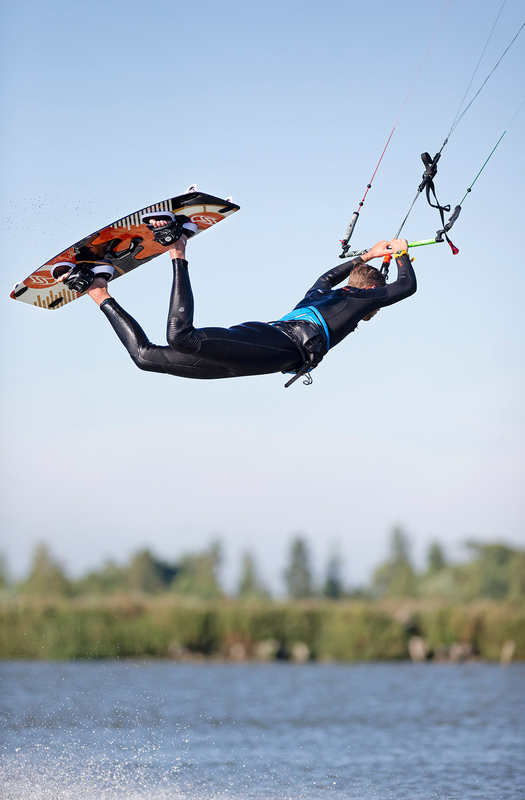 By using only the best materials, we achieve riding characteristics which combine both comfort and high performance. The split-construction is impressively simple. The zigzag connection joins easily and only needs to be fixed with a metal splint on each side. 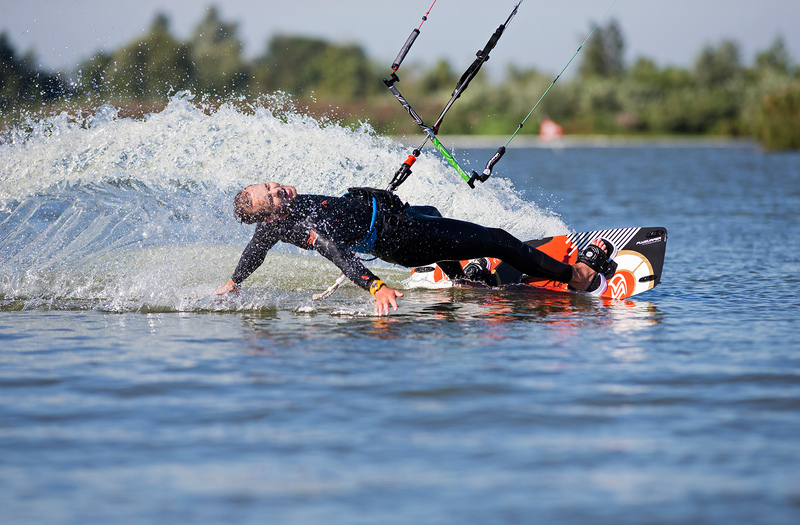 The Click’n’Ride System ensures quick disassembly of your fins. 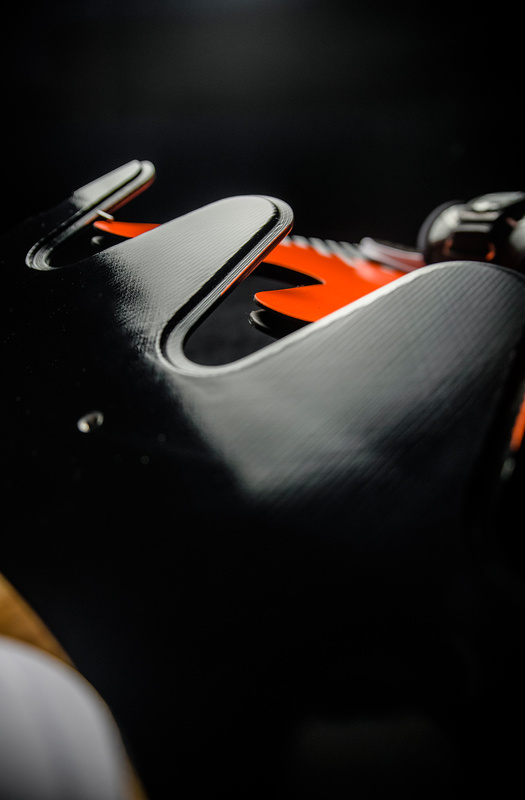 In the boards heel-side centre and edges we use a full-wood-core to ensure great durability and dynamic performance. 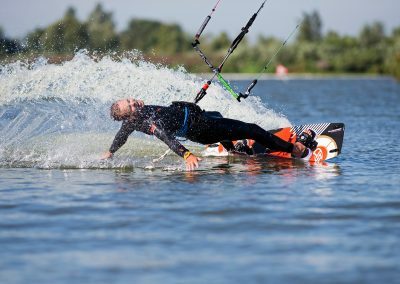 For the less stressed areas like the toe-side a light-foam-construction is used to save unnecessary weight. Due to this construction and its special rocker line the FLYSPLIT2 offers great performance but also a great deal of comfort in choppy and gusty conditions. The FLYSPLIT2 is made for those riders who love speed and performance along with saving money on their journeys. 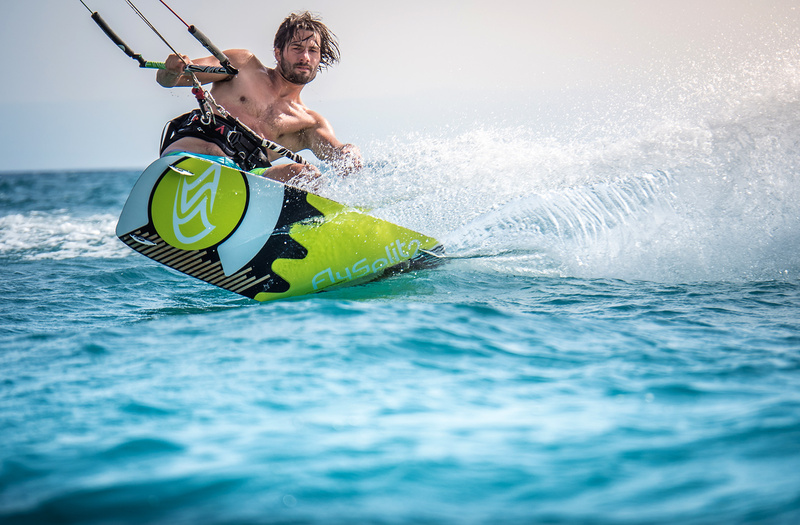 With the FLYSPLIT2 you do not have to miss out on neither an extreme pop for hooked or unhooked jumps nor fantastic up-wind performance. 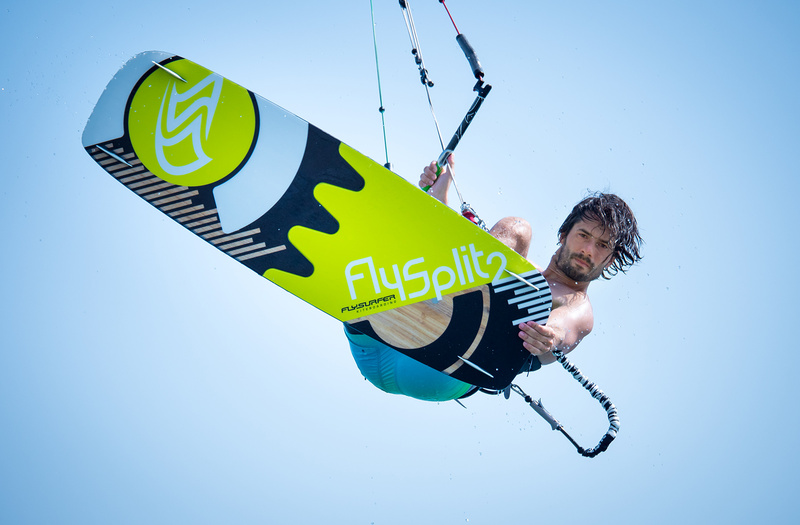 The FLYSPLIT2 is available in sizes 139cm x 43cm and 134cm x 41cm.